The Boeing 787 Dreamliner aircraft will be put on at least six international routes heading to Europe mega US carrier United Airlines has said. The airline advises that from summer next year it will base the 787s at its Newark Liberty International Airport in New Jersey hub to operate flights to various destinations in Europe. Although the airline hasn't publically said which variant of the 787 would be based at Newark, it is believed to be the -10. United have configured the 787-10s with 318 seats in total, spread over the carriers Polaris business class, premium economy and economy and its boss has previous, stated the aircraft is ideal for its European routes. 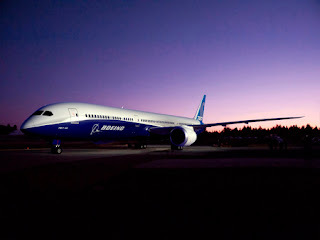 In a report issued by Flight Global, the airline has communicated its Dreamliner placement to staff in a memo, saying that the airline will deploy 160 Dreamliner rated pilots, including 55 captains and 105 first officers, at Newark from the end of March next year.